Crime drama. Produced by 50 Cent. One of Starz channel’s most watchable show. Find out how you can get in on the action! The sixth season is underway set to premiere this 2019. Power is an American drama film series created by Courtney A. Kemp for American premium cable network STARZ. 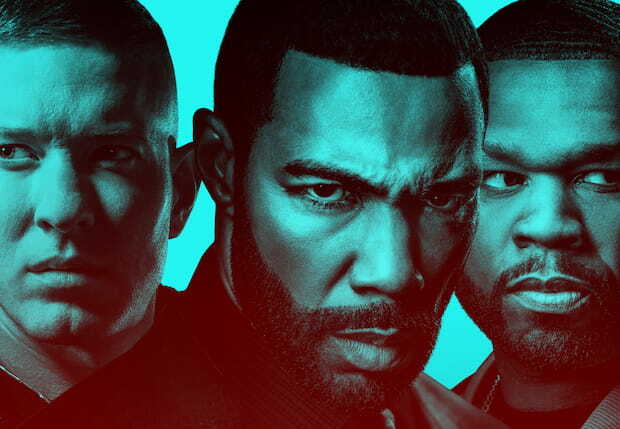 The show centers on the life of James St. Patrick (played by Omari Hardwick), a drug dealer under the nickname “Ghost”, as he battles his own demons as a criminal in trying to live a normal life in the city of New York. The first episode premiered on June 27, 2014, and has since gained critical acclaim for its characterization, pacing, and story flow, even being one of the network’s most-watched series. It is currently running for 5 seasons, with the sixth season underway set to premiere this 2019. You can watch Power on Sundays at 8/7 c on Starz. If you’re not subscribed to Starz or it’s not available in your area, here are the official and unofficial ways of watching the series online. 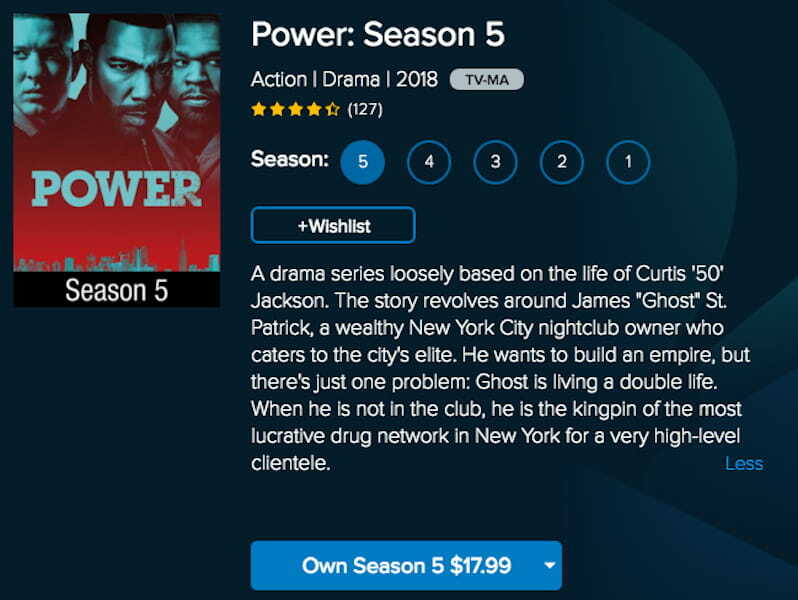 Good news for those subscribed on STARZ, you can find all the episodes of Power on its website up for grabs. Episodes are uploaded real time right after it airs in the U.S., so you’ll be updated. If you’re not, subscribe to STARZ on demand. It’s easy. Just register an account, pay your plan, then stream right away. They also have a 7-day free trial, in case it’s your first time trying out the platform. The bad news is that it’s only limited to viewers of the U.S. and Puerto Rico. If you’re residing outside, you can still watch it as if you’re residing in the U.S.
How? Through the use of a VPN. Feel free to skip ahead if you want to know more about it. STARZ on-demand pricing: $8.99/month, with free access to the application made available for premium cable subscribers. If you have Amazon Prime, then you can have access to Power through STARZ. Amazon’s partnership with STARZ makes it possible for its users to stream content only available through the latter’s subscribers. What’s more is that you can buy individual episodes or seasons 1-5 separately on site, which is super convenient for your viewing experience. This is only limited to U.S. residents and Puerto Ricans though, so it’s kind of a bummer. But then again, you can bypass this restriction if you use a VPN. Just scroll down below to find out how. No subscription on Amazon Prime means you have no Power. Literally. If you’re looking for another streaming service that’s kinda on par with Amazon Prime, check out Hulu. A partnership with STARZ means that its the closest competitor you’ll ever find to both the network itself and Amazon, so you’re sure to get the most out of your money. Again, it’s only available to U.S. residents so if you’re outside the country, use a VPN to start streaming. Just add STARZ to your current subscription (or try their 30-day free trial for a start) and you’re off to New York. Hulu Pricing: $7.99/month with ads; $11.99/month with no ads. Are you a U.S. resident? If yes, then add Apple iTunes on your list of alternatives. It has all 5 seasons of Power at slightly different pricing points. If you have the money, buy the bundle of seasons 1-4 as a whole, including the extra scenes and bonus footages. Saves you around $50! It also lets you download the episodes individually, so you can watch it on-the-go or when you are traveling, especially if you have an iOS device. If you want to take a break from popular streaming platforms such as Amazon and Hulu, then Vudu is just right for you. It’s basically the same streaming platform, only at a slightly fair price. Like iTunes, it also lets you download the episodes on SD or HDX so if you’re into spending all day on your couch at your most convenient time, go with this. If you’ve got no money to pay for premium streaming services, we’ll be your friend. Scroll down below to see how you can stream Power online. If you’re not into making accounts for streaming services, then try Openloadfreetv. It’s on the list of sites recommended by users for streaming services. All you need to do is key in “Power” on the search bar, click the episode you want to watch, then start eating your popcorn. Easy as 1, 2, 3. But remember, since this is an unofficial streaming platform, you’d need to watch a 30-second ad before you can start streaming. Not to mention some broken links which can be annoying. All in all, it’s a good alternative so be patient. You’ve probably heard of Putlocker. After all, it’s one of the longest-running streaming sites on the Internet. Just go on the site, type “Power” on the search bar, click the episode. That’s it. The downside is that this site has lots of ads. The ads in the banner are also coupled with other pop-up ads that appear when you click just about anything on your screen while you’re on the tab. We strongly advise you to install an Adblocker on your browser to prevent these from ruining your viewing experience. If you’ve tried both methods yet you still can’t find the episode you’re looking for, then just go to Google. 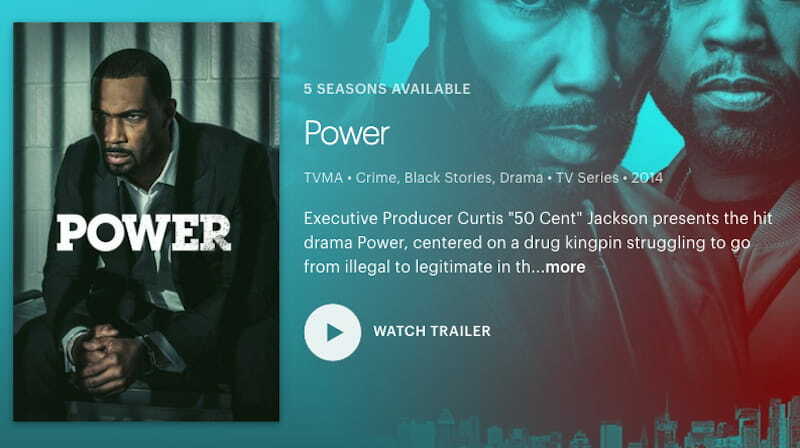 Type “where to watch power online” or ” where to stream power online free” to find episodes of Power that you might have missed out. Go through each and every link you can find since you’ll never really know which might work. But since you’ll be doing a lot of clicking, you risk exposing your computer to lots of malware and viruses. Not good. If you’re going to go with this method, always remember to enable your AdBlocker, or subscribe to a premium VPN which offers the same protection. It’s illegal to download these! Torrenting of copyrighted shows is illegal so we do not condone it. It might be legal when you download the episode on your device from the streaming platform, but when you open it for sharing or through a p2p connection, you break the law. In addition to breaking the law and incurring a hefty fine, you also expose your personal network to malicious intrusions, which can greatly compromise your privacy and security. If you’d still like to torrent, use a VPN to help you hide your activities. Here a list of VPNs which can help you torrent. If you’re tired of seeing the “Power not available in your region” screen on your device or computer, we got good news. As we said earlier, you can use a VPN to bypass geo-restrictions to access content that is not available on your region. If you’re wondering what a VPN is, it’s basically a piece of software which is used to hide your IP address and connect to a server where the streaming service you’re using can be used. This VPN will enable you to stream STARZ, Amazon, Hulu or any other streaming service that is geo-locked. But strong firewalls on premium streaming sites detect most VPNs, so choose wisely. Check out two top-rated VPNs to start! ExpressVPN has gathered a considerable amount of followers due to the fact that its services are top-tiered in the industry. With lots of servers on over 90+ countries coupled with high internet speeds and a very accommodating 24/7 customer service, guaranteed access on geo-restricted content, and most of all, it allows torrenting. All of these for just $8.32/month for a year’s subscription. What more can you ask for? If $8.32 seems too much, then we suggest you try NordVPN. NordVPN has also established a decent following mainly because it’s cheaper, and its plans are longer than other VPNs in the market. With a $2.99 price tag per month for a 3-year subscription, it’s the ideal package if you want a premium VPN for long-term use. It also supports torrenting so you’d definitely want to check this out. With that being said, put your pajamas on and grab some popcorn. With fans of the show anticipating a June or July 2019 release, you still have time to catch up to what’s happening with Ghost. Don’t forget that you can use your VPN to unblock restricted sites. It’s completely legal. Start watching and bring home the money!